Cor-Bon 45 ACP +p ammunition is one of the premiere self-defense rounds for law enforcement and military applications across the United States. 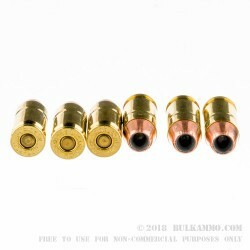 While .45’s have a well earned reputation of impressive bullet weights and expansion diameters, the .45 auto itself has historically been plagued with relatively low bullet velocities since the rounds inception in 1911. 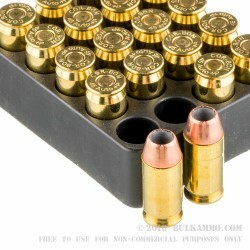 Coe-Bon’s 45 ACP +P however, seeks to change to change that forever. At a muzzle velocity of 1,150 feet per second, these 185-grain jacketed hollow point rounds achieve velocities an average of 500 feet per second higher than that of their standard counterparts. A critically important aspect for law enforcement and military professionals who often find themselves having to penetrate various intermediary obstacles in order to neutralize their targets. Cor-Bon has also utilized a flash suppressant powder that will not rob you of your night vision during live fire operations at night, and the subsonic muzzle velocity makes a for an ideal suppressor ready round straight out of the box. 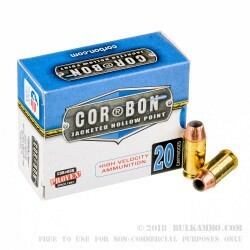 In terms of self-defense, this is perhaps one of the most affordable, if not reliable self-defense rounds that Cor-Bon has ever brought to market.